I purchased a Whirlpool refrigerator from Howard’s the refrigerator did not cool from time of receipt. Paridise diagnosed problem was leak of freon. Since this was supposed to be new I requested replacement. The Paradise service people were very professional. I want to thank Oriale Preston for the repair work done on our washer, Machine is working with no issues as of now. also I want to recognize his professionalism and customer skills, Thanks for your help. Last Friday we had a serviceman come to the house to find out why our ice machine wasn't working. This has been an ongoing problem and the serviceman was able to test and replace it. We now have ice again! He was very professional, informative and polite. I unfortunately can't remember his name but would highly recommend him in the future. Mr. Preston was friendly, courteous and professional. He fixed our washer in a timely manner and provided an explanation and answers with the washer. the repair person, mr. larry grimes, was the type of person who made you feel comfortable and confident about him, his knowledge, and his work. i recommend him without qualification and reservation. 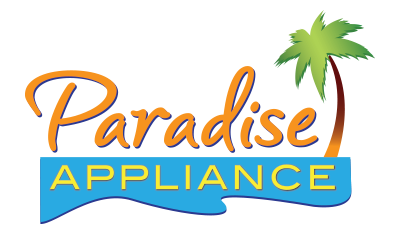 my experience with paradise appliance was great too. it kept me informed about mr. grimes' arrival, etc. from beginning to end. so far, my experience with paradise has been flawless. Ramon was great to work with - Thank you! Thanks for calling during the window and coming over immediately, and resolving our issue. Victor is an excellent technician. Courteous and professional. Excelent service and very fast! Came to inspect and then order the parts and working 3 days they came back to replace and was done very timely and properly. Would definitely use again if needed. Preston was Great! First off, he was on time and diagnose the problem precisely, order the parts and came back in 3 days to install and Perfect! My machine is back in business!! Awesome work. Great service!!! Sarkis Mossessian was very professional and pleasant and very knowledgeable. He saw the problem and fixed it and made me very happy. Thank you!! DISHWASHER AMANA ADB1400AGS0 "found water supply line not turned on causing no water fill, turned on water ran thru diagnostics test working ok."
DRYER MAYTAG MGDC400VW0 "replaced bad drum rollers & drum belt for noise issue, ran test working ok.; used 1 4392065 (repair kit) from stock"
WASHER MAYTAG MVWB765FC3 "found f-8 e-1 long fill error, replaced water inlet valve, ran test working ok.; used 1 W11165546 (WATER VALVE) from stock"
DRYER MAYTAG MEDB765FC0 "found f-2 e-1 stuck key on ui board causing cycle selectio issue, reattached ui cable connection to main board now working ok."
DISHWASHER MAYTAG MDB8959SFZ4 "made minor adjustment to top rack not aligned staight for rack to go all the way in causing door to not close, ran test working ok."
REFRIGERATOR WHIRLPOOL WRS537SIAM00 "diffuser not closing -replace test good., paid with credit card i did; used 1 W11164593 (DIFUSER) from stock"
WASHER AMANA NTW4516FW2 "cust says unit stopped in mid cycle, no error found unable to verify, made adjustment to pressure hose, recalibrated ran thru diagnostics working ok."
REFRIGERATOR WHIRLPOOL n/a "fill tube frozen-defrosted, na dit drip-ordered both valves. ; ordrng 1 WPW10498990 (1st valve) and 1 WPW10349187 (2nd valve)"
WASHER MAYTAG n/a "replaced main cntl board, pressure hose & stator, recalibrated ran test working good"
WASHER MAYTAG MVWC425BW0 "replaced faulty main cntrl board with bad door lock relay, ran test working ok."
DRYER WHIRLPOOL WGD4815EW2 "removed coins & screw from door seal causing noise issue, ran test working ok."
WASHER MAYTAG MVWB865GW "ran test was unable to verify compalint of not washing, adjusted legs for off balance. recalibrated washer, working ok."
RANGE WHIRLPOOL WFG525S0HW1 replaced spark module and tested that all burners are working ok.
WASHER MAYTAG MVWB765FW3 "cust is unhappy with operatipon of washer, doen not like how washer agitate during sensiing, thinks clothes will be runined, ran test with load, did not find any errors, explained to cust this is nomal opreation of unit, cust still not happy with product." WASHER MAYTAG MVWB865GC0 removed bobby pins stuck inside drain pump causing f-9 e-1 long drain error ran tet working ok.
WASHER MAYTAG MVWC425BW0 "found broken door switch, unit will not start, needs part replaced. ; ordrng 1 W10404050 (lid lock)"
DRYER WHIRLPOOL WGD90HEFW0 "ran test unit heating but still not drying clothes, cust only had small load inside running for 80mins still not drying completly, replaced main cntrl board with thermistat fuses on prev visit, cust says clothes still not dry, checked exuast venting ok. unable repair unit. cust unhappy with product. use authorization # wj56400epl1"
DRYER ROPER RGD4516FW0 "removed coin jammed between drum & door frame causing scraping noise, working ok."
DRYER WHIRLPOOL WGD8700EC2 replaced faulty main cntrl board & user interface now working ok. s coded parts per mgr JG cust pays trip & labor fees. WASHER MAYTAG MVWB835DW3 "replaced gearcase, stator & rotor with clutch assy, bad water leak from tub seal, ran test working ok.2X labor auth#MJI12JHAPL2"
OVEN WHIRLPOOL WFG320M0BS3 replaced broken ignitor and tested for bake operation.